In this series of three lessons, students will sing traditional music from Botswana, listen critically to the performance practice and styling of both traditional instruments and singing, and create a game and a composition in the style of the culture. Learn by rote an unfamiliar song from Botswana, in three parts. Identify and incorporate appropriate stylistic nuances. Listen to a piece of music played on a setinkane (mbira), identify the different tones heard on the recording. Compose a piece of music using the tonal structure of the recording. Learn a traditional children’s song. Discuss the historical implications of the text. Create a dance or game to complement the song. 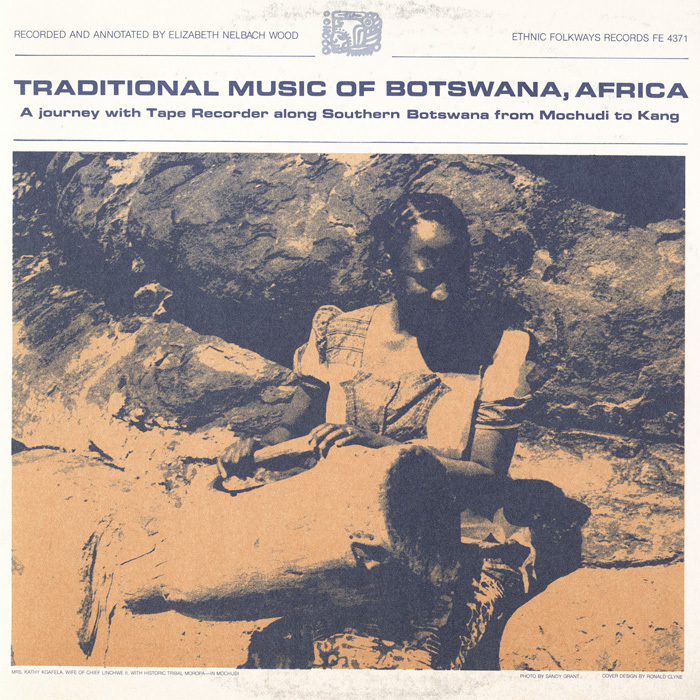 Recording of “When They are Playing Their Whistles, Praise (Ululate) Them”, found on the recording the Smithsonian Folkways album Traditional Music of Botswana, Africa (FE 4371). 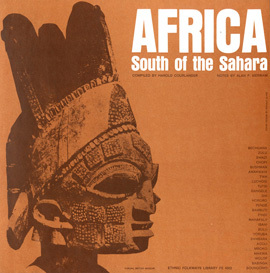 Recording of “Setinkane” track, found on the recording the Smithsonian Folkways album Traditional Music of Botswana, Africa (FE 4371). Recording of “Oh, a Shoe, a Shoe”, found on the recording the Smithsonian Folkways album Traditional Music of Botswana, Africa (FE 4371). Lesson Segment #1: Can You Ululate? Integrating World Music: Teacher tells the students that the “yelping” sound is called ululation, and is often used as a form of praise. Attentive Listening: Students listen to the recording, trying to determine the way in which the singers are making the sound. Enactive Listening: On their own, students try to recreate the sound, then share their sounds with the class. Students guess the song’s origin. Teacher informs them it is from Botswana, in Africa. Students find the country on a world map. Much of the country is made up of the Kalahari desert, which has little or no surface water. Most of the population lives in the north and eastern part of the country, which has more water. Teacher tells the students that this song is being sung by schoolchildren of the town Mmankgodi, in the southeastern part of the country, near South Africa, and they find it on the close-up map (included below). The children are from the Bahurutse ethnic group. Integrating World Music: Teacher tells students that call and response is typical of much music in Africa. Students review other songs they have performed that have been in call-response form. The teacher tells the students that choral music in call-response form is also common in Eastern and Southern Africa. Engaged Listening: Students play whistle (or some other instrument) during the response portion, while listening to the recording. Note: The whistle is also blown on the first two notes of the call on the first verse. For the remainder of the song, the whistle only on the response, so the first version on the first verse has not been transcribed here. Ema a bone (3X) bana ba gago: Stand up and see your children. Enactive Listening: Students learn three vocal parts of the song. Alternatively, students can try to “pick out” their parts by listening to the recording. Attentive Listening: After learning their parts, students listen to the recording to compare the vocal style of their performance to that on the recording. Enactive Listening: Students sing again, incorporating the self-critique from step 12. Creating World Music: Students sing another song in the same style from Eastern or Southern Africa. See, for example, the books “Let Your Voice Be Heard” (edited by A. K. Abraham, J. C. Tucker, and D. Maraire); or “Freedom is Coming – Songs of Protest and Praise from South Africa” (edited by A. Nyberg). Assessment: Authentic assessment of final performance. Lesson Segment #2. Setinkane Time. Teacher explains that a mbira is a thumb piano. In this area of Botswana, the mbira is called the setinkane. Teacher shows student a picture of a setinkane, available online. Attentive listening: Students listen, attempting to determine how many different setinkanes are being played (A: one). Attentive listening: Students listen, attempting to determine how many different notes they hear being played. Half the class listens for the upper pitched part, the other half the lower pitched part. (A: Four on the top part, four (or five? - it's not easy to tell) on the bottom part.). Listen again, to check answers. Enactive listening: Sing the different notes heard on the setinkane. Enactive listening: Listen to the recording, attempting to tap with the beat. Note how the song appears to be ametrical. 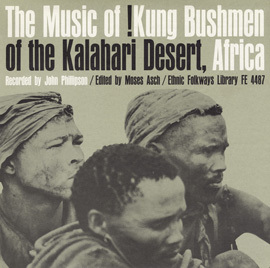 Integrating world music: Teacher informs the students that the text of the song concerns a hartebeest. Show a picture of a hartebeest, available online. Assessment: Check to see that the students’ compositions meet the above criteria (see step 9). 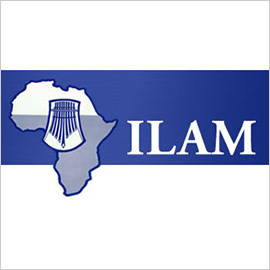 Integrating world music: The song comes from the Bakgaladi cultural group from the town of Letlhakeng, in the southern part of Botswana. Find Botswana on a map, noting that it abuts South Africa. Brief explanation of the Boers: White Europeans, primarily from the Netherlands (and to a lesser extent Great Britain) settled in South Africa in the 1600s, creating a cultural group that grew to be called the Boers. (Today, Afrikaners is the preferred term). The Boers created a system called apartheid, in which the black Africans of South Africa were subject to very strict restrictions on their types of jobs they could hold, and even where they could live. It was a harsh system for the black Africans, and many resisters were sent to prison or killed. Botswana did not have the same system, but some black Africans from Botswana worked in the mines of South Africa. In addition, some black South Africans escaped to Southern Botswana in search of a better life. This song was recorded in 1982, when apartheid was still in effect. Discuss the meaning of the words. What do the students think it might mean? Attentive listening: In light of the historical context, listen again to the recording. What adjectives would you use to describe the performance? Engaged listening: Listen to the recording, while clapping along with the recording. Attentive listening: Note that on the second time through the first phrase, the last word (“chang”) has a whistle sound that occurs atop the singing. This whistle repeats at the same point in the second phrase, but not on the third. Engaged listening: While listening to the recording, invite students to whistle (quietly!) at the appropriate point in the song. Enactive listening: Teach the song by rote. Engaged listening: Listen to the recording again, with students noting stylistic factors to consider in performance. Enactive listening: Sing the song again, incorporating student ideas. Engaged/Enactive listening: Repeat (9) and (10), as appropriate. Creating world music: This game is a play song. Per the liner notes, all songs of children include some sort of dance or movement. This usually incorporates some sort of foot or leg movement, or actually a dance pattern performed by a small group in front of the singers. As a class (or in small groups, if the students have familiarity with creating movement activities), create a series of movements to accompany the song. Alternatively, create a singing game that the students can play while listening to or singing the song. 13. Engaged listening: If students have experience with mixed meters, invite them to decode the rhythm and meter of the song.